Keurig K350 and K450 are two coffee brewer systems by Keurig. These machines offer great features with compact design and endless beverages choice. If you plan on purchasing a new coffee brewer, you may want to pick one of them. Since they have been released years before, the prices are also more affordable than new machines, so for those who can’t get expensive machines, you can opt for one them too. Keurig K350 is a coffee brewers system that intended or marketed towards home use or end users. This brewer is manufactured by the one of the most popular coffee machine makers Keurig, which also makes various accessories for coffee lovers. Owning the machine will let you enjoy high quality brew each time you want without the need to go out to coffee shops anymore. You will also save some more by making your own coffee as well as simplifying your caffeine routines. From the outside, you will notice that Keurig K350 is built with plastic material in black color. However, this machine still looks elegant from most people point of view. The control is placed in front of the unit for much convenient operation. These control is rimmed with silver lining to ease you see it when in low light condition. Even though it is bulky, the machine is weighing no more than 13.9 pounds. Measuring at 18.3 x 12.7 x 16 inches, it is definitely not too small but it also not too big either and you still can place it easily at your kitchen counter. Keurig K350 is programmable and the panel at the top of the unit. This is what set the machine apart from outdated machines that won’t offer you customization. You can use this panel to decide whether you want to brew a cup of coffee of a carafe or set the strength of your coffee. Comes with 2.0 technology, this machine can work with K-cup pods and K-Carafe to serve you the best coffee from your preferred pods. This technology will enhance the machine ability to make special beverages, such as mocha and chai. One of important thing to seek in a coffee machine is the machines capability to serve you a fast coffee. With Keurig K350, you can enjoy your favorite coffee in less than a minute and less than five minutes when you want to make a carafe without the need to do all the guesswork like in more traditional espresso machines. Its high speed will help you speed up your morning coffee routine before going to work or late night caffeine intake when you need to stay awake longer. 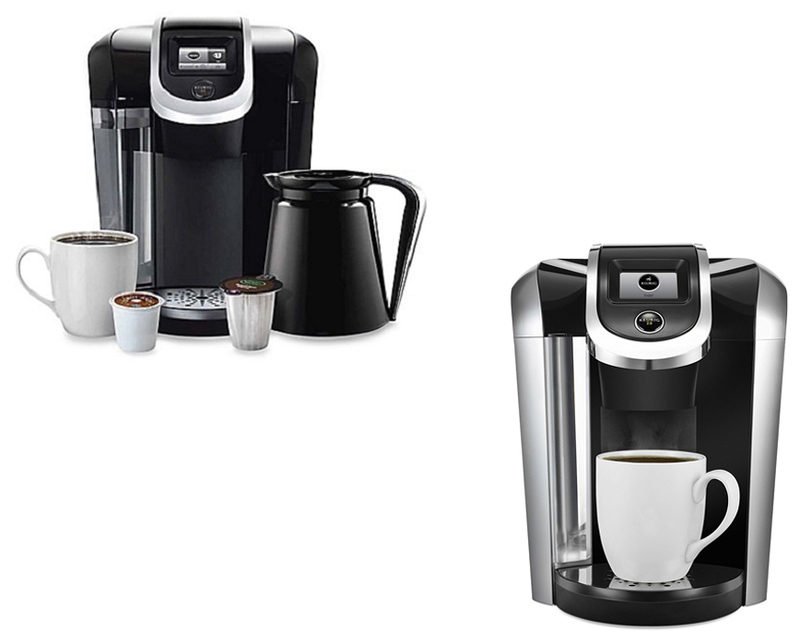 For similar coffee brewers, check our article on Keurig Rivo vs Starbucks Verismo here. Another great feature on Keurig K350 is the large water tank that can take up to 60 oz., so you will not have to fill it too often if you only use it alone. The tank is easy to remove and replace it again in the machine without any issue, you may also wash it with hand after a period of time to make your machine stay clean. To enhance your coffee taste, Keurig K350 have a water filter to removes substance that may affect the taste of your coffee. Keurig K450 is a home used coffee brewer system by the same name company. This machine is the upgraded version of the previous Keurig K350 we have talked above. 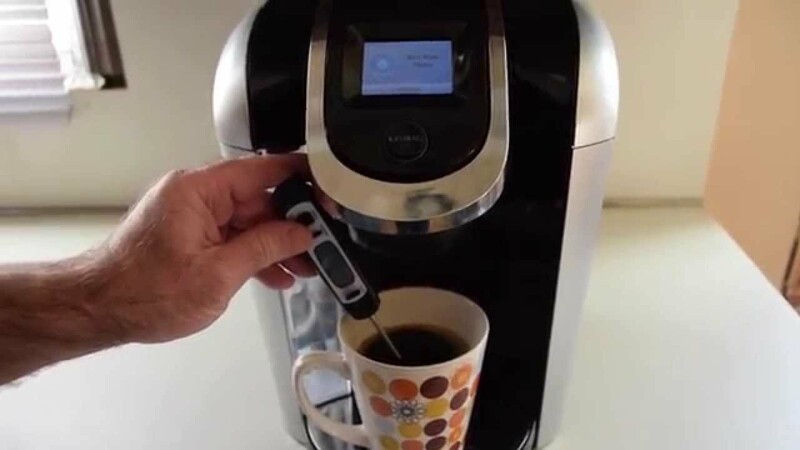 Compared to its predecessor, this version is claimed to be the heavier duty model that boast its ability to read every lid of your K-cups, so the machine will create the best customization for every single pods according to their blend, such as the ideal amount of water or the temperature needed to brew them effectively and bring the best taste out of each pods. Looking at Keurig K450 from the outside you will notice that it still have the same shape and build with the same material with Keurig K350, but with more silver lining. These silver lining may be put for aesthetic purpose, but it can be helpful when you operate the machine in dim light. The clear water tank is still placed at the side of the unit so you can see it when you need to refill it and the panel control is placed in the top front for convenient operation. As it have been mentioned earlier, taken from nerdwallet, Keurig K450 have a color panel to allow you do some adjustment with the machine. With this panel, you can set the machine to produce your coffee in your preferred amount and strength. You may choose from a brew range start from 4 oz. to 30 oz., so it is perfect when you have a big family or often serving coffee for your guests, since you don’t have to repeat the process. This machine also carry the pulse brewing technology that was first appear in Keurig Vue, which will make any strong coffee drinkers loves this machine. Coming from Keurig, you can expect to have an endless options in single K-Cup pods, since it is still the most dominant form of single coffee cup available today. Not only coffee, K-Cup offer you an endless choices such as specialty beverages like mocha, chai or hot cocoa. 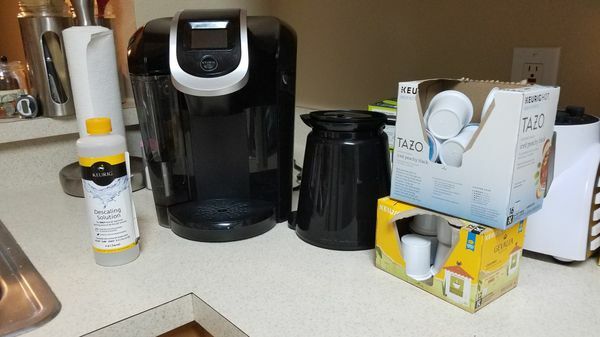 Now, let’s compare Keurig K350 with Keurig K450. From their appearance, Keurig K450 have more silver lining in its design unlike the previous Keurig K350. This additional design will be beneficial if the machine is operated under dim light. From the water tank, we can see clearly that K450 have more capacity than its predecessor. From the display, K350 still uses grayscale display while the K450 is already using colored display. Other than those both machines are having the same abilities. All in all, the decision is all yours to make. From the comparison, we know that Keurig K450 have an upgraded features compared to its predecessor and it is also can store more water compared to K450, so it is more suitable for large family. In our opinion, if you plan on choosing between both machines, you should opt for the K450 since it is better than K350.